The 254-passenger deluxe vessel to paradise, the Aranui 5, has announced its sailing schedule for 2020. 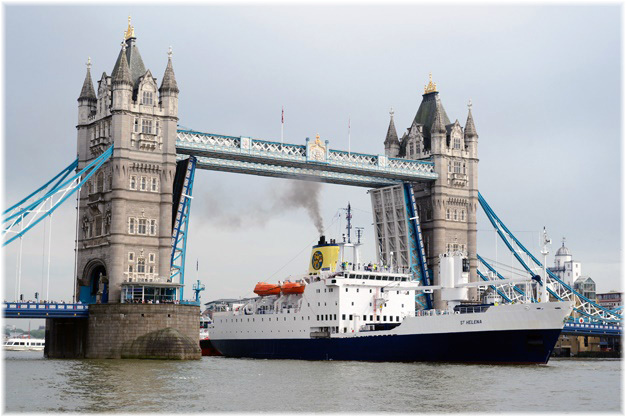 The Aranui 5 introduces 20 all-inclusive voyages including a specialty Pitcairn Island cruise. The 6-passenger NSB sister ships Zim San Francsco and Zim Ontario have recently changed from Zim Lines’ Halifax – Panama – Hong Kong run to a new route between Seattle and Vancouver, China and Malaysia, Suez, Israel and the Black Sea. These are the only ships in the Zim fleet to carry [assengers and offer two very long round voyages that can also be booked one-way as part of a round-the-world itinerary. CMA CGM advises that it has five cabins available on the Liberty Line for its January 13 departure from Le Havre to New York. This was once the route of the Paris, Ile de France, Normandie, Liberté and France, among other well-known ocean liners of the past. This holiday season, shoppers can surprise loved ones with a once-in-a-lifetime cruise aboard the Aranui 5, a passenger-freighter vessel to the Marquesas Islands in French Polynesia. Crystal River Cruises has released details of an ultra-low single supplement of just 10% on selected 2018 itineraries. CMA CGM has just extended the duration of its PEX 2 and PEX 3 Round-the-World services from 77 days to 83 days. The PEX 2 service features two 8-berth ships, the CMA CGM Jacques Joseph and CMA CGM Lisa Marie via Mexico and the Caribbean and PEX 3, five ships via the US Gulf and Florida, of which the CMA CGM Cendrillon and CMA CGM La Scala are 7-berth ships, the CMA CGM Lamartine and CMA CGM Maupassant are 6-berth ships and the APL Scotland carries one passenger only. 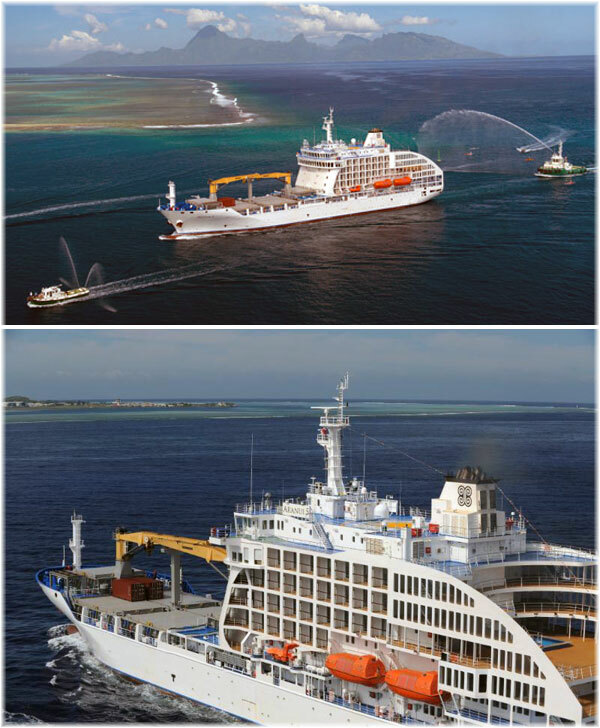 French Polynesia’s one-of-a-kind passenger-freighter cruise, the Aranui 5 has a limited number of staterooms available on sailings for the Nov. 27 and Dec. 15 voyages for guests looking for a last-minute holiday getaway. In April, CMA CGM opened its new Independence Bridge service between the US East Coast, New York, Southampton and Continental Europe. Of five ships engaged in the service, two, the CMA CGM Alcazar and CMA CGM Chateau d’If, offer a double-bedded Owners cabin and a Single cabin, with space for three passengers.